Market towns in England are popular places to live but doing so comes with an extra £30,788 price tag compared to neighbouring areas, new research shows. Beaconsfield is the most expensive, with an average house price of £1,049,659 and is the first market town with house prices over the million pound mark, according to the report from Lloyds Bank. 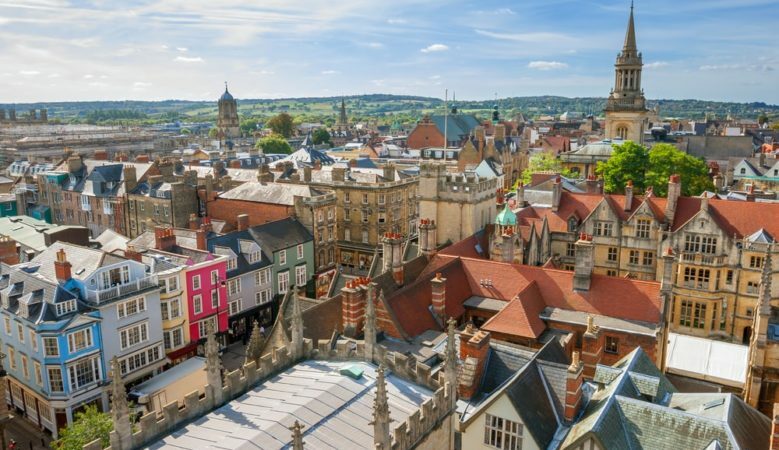 The research also shows that prices in English market towns have grown, on average, by 21% in the past five years to an average price of £280,690, some 7.9 times the average gross earnings of all full time workers across England. House prices in market towns across England are 12% higher than their county average and homes in 67% of market towns cost more when compared to the rest of their county. Since 2015, house prices in these areas have grown by £6,850. South East England dominates the top 10 most expensive market towns with Henley on Thames the second most expensive with an average price of £831,452 followed by Alresford in Hampshire at £541,529. Outside southern England, Altrincham in Cheshire is the most expensive market town with an average property value of £431,295. Beaconsfield, close to the Chiltern Hills and within a 40 minute commute to London, also carries the largest house price premium with homes costing 161% or £647,623 above the county average of £402,036. The horse racing market town of Wetherby has the second highest premium with an average house price that is more than double, 110%, the average house price in West Yorkshire at £366,873 against £175,056. For buyers looking for more affordable market town living, bargains can be found in northern England. Ferryhill with an average property value of £78,184 and Crook at £115,659, both in Durham, are the least expensive market towns. Immingham in Lincolnshire follows with an average house price of £115,769 with further Durham towns of Stanhope at £142,535 and Saltburn at £144,717. ‘Buyers continue to be attracted to the charm and high quality of life offered by market towns and are typically happy to pay extra to live there. The most expensive market towns are found in the South East at a commutable distance from London, with many homes in Beaconsfield costing more than £1 million,’ said Andrew Mason, mortgages product director at Lloyds Bank. The research also shows that the average house price in market towns across England has risen by £48,572 or 21% from £232,117 in 2012 to £280,690 in 2017. This is equivalent to an average rise of £405 per month over the past five years. The Oxfordshire towns Henley on Thames and Thame had the biggest increase in price since 2012, where the average house price rose by 53% for both towns, Henley on Thames by £288,847 to £831,452 and Thame by 164,582 to £476,365. Following the two Oxfordshire towns is Ampthill in Bedfordshire at 48% or £116,361 and then Hitchin at 45% or £120,933.